Clay County (pop. 26,890) is east of Vigo County. 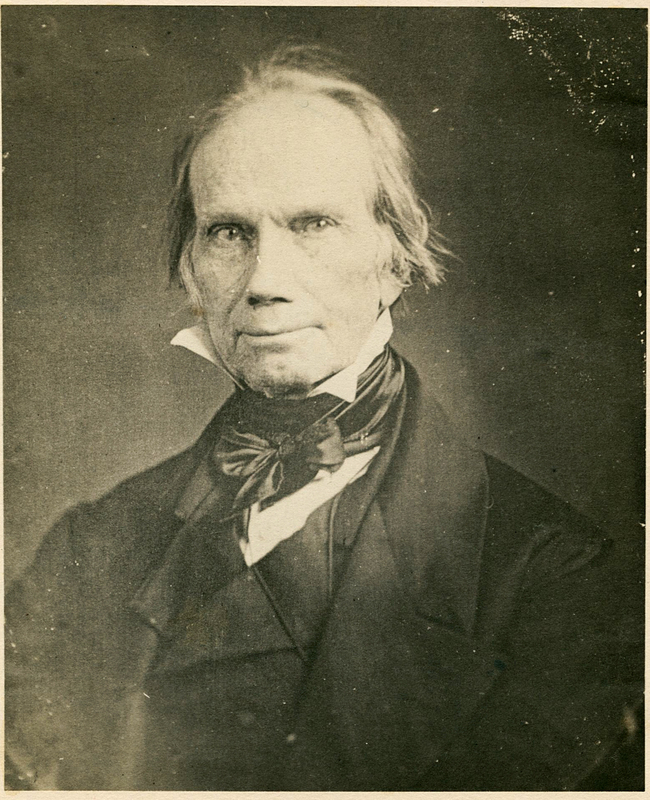 It’s one of 18 Clay counties, and one of the 15 named for Kentucky statesman Henry Clay (1777-1852). Interstate 70 (Maryland to Utah) runs through Clay County, east to west, paralleling U.S. Route 40 (the old National Road). 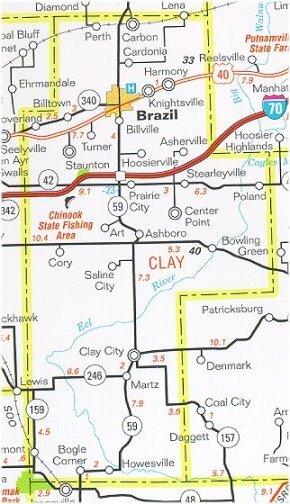 The county seat of Clay County is the city of Brazil (pop. 7,912). The city was named in 1866 for a local farm; the farm was named in the 1840s for the country. The “Chafariz Dos Contos” (“Fountain of Tales”), a memorial fountain in Forest Park, is a replica of a fountain in Ouro Preto, Brazil. The Clay County Courthouse (1914) is on the National Register of Historic Places. 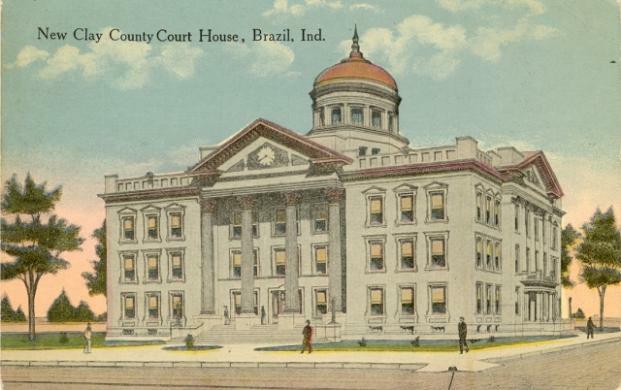 The former U.S. Post Office (1913) in Brazil is now the Clay County Historical Society Museum. 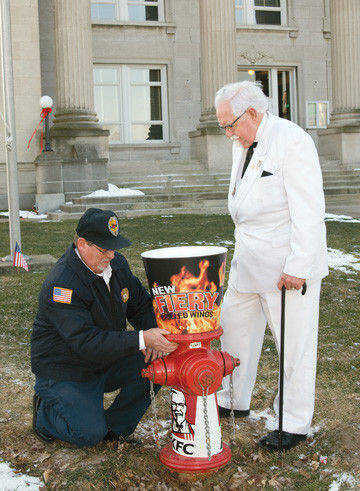 In 2010, KFC gave Brazil $2,500 for fire safety improvements in exchange for a month-long promotion of its “fiery” chicken wings. 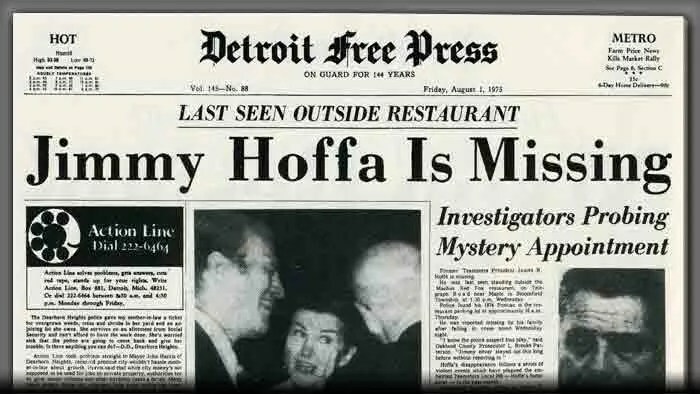 Popcorn tycoon Orville Redenbacher (1907-1995) was born in Brazil and grew up there; labor-union leader Jimmy Hoffa was born in Brazil in 1913 and lived there until 1924. 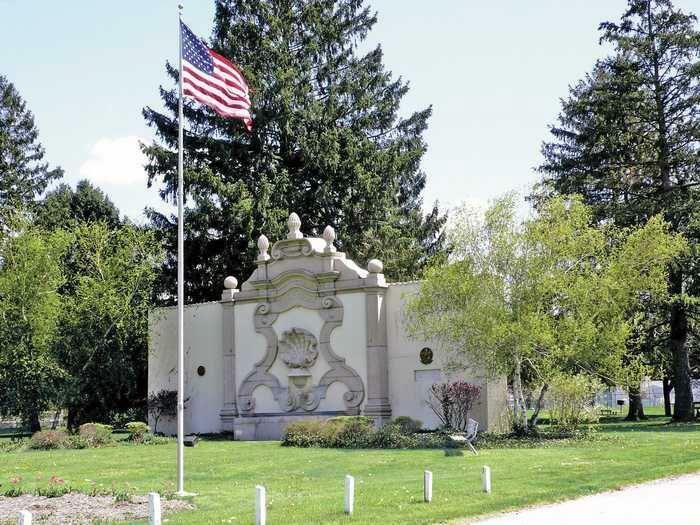 The unincorporated community of Bowling Green has a bed and breakfast called the Clayshire Castle. 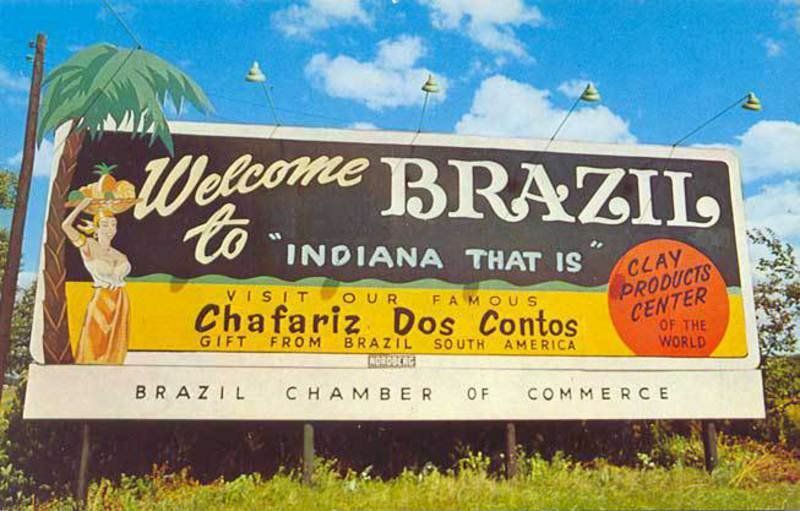 This entry was posted in Indiana and tagged Chafariz dos Contos, Clayshire Castle, Jimmy Hoffa, Orville Redenbacher.